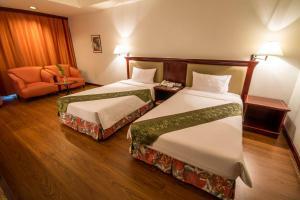 Situated in lively Sukhumvit, Tai-Pan Hotel is only a short walk from Asok Skytrain station and Sukhumvit MRT station. Free Wi-Fi is available throughout the hotel. Guests can relax at an outdoor swimming pool and have a drink at an on-site bar. 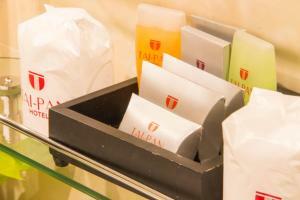 Rooms at Tai-Pan Hotel are comfortably furnished and offer amenities that include air conditioning and a flat-screen TV. A seating area and minibar are also included. Dine at the Pan Kitchen, which serves a delicious mix Thai, Japanese and European cuisine. 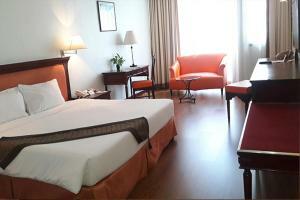 Air-conditioned room features a cable TV, minibar and shower facilities. 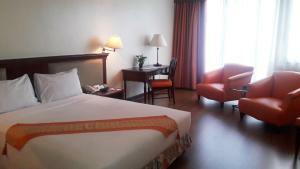 Located on higher floors, air-conditioned room features a cable TV, minibar and shower facilities. Rate: THB 2000.00 ... THB 3060.00; select dates below to get current rates. Rate: THB 2358.52 ... THB 2801.85; select dates below to get current rates. Rate: THB 2780.71 ... THB 2798.93; select dates below to get current rates.